Ok. 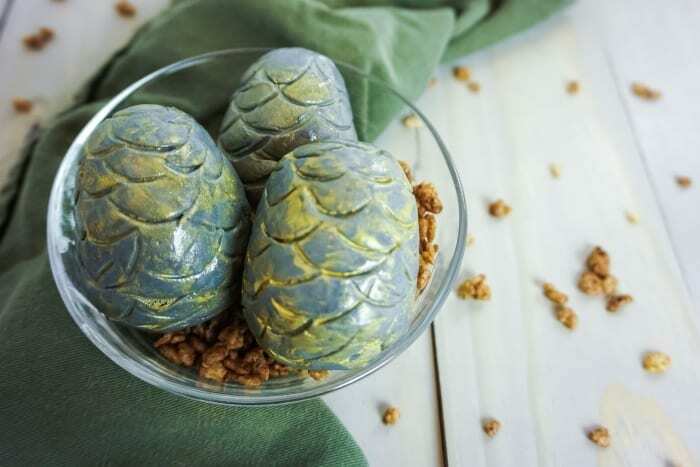 So I’ve been wanting to do something like these Game of Thrones Khaleesi Dragon Egg Cake Balls for a long time. 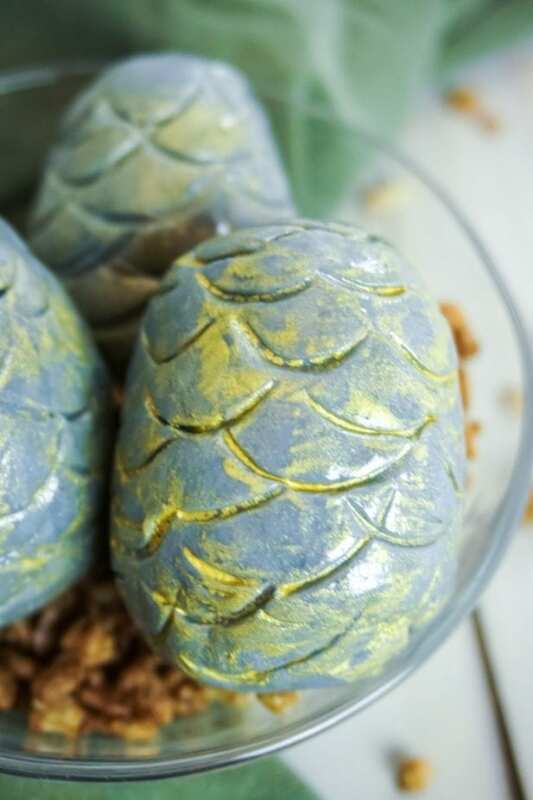 My friends are going to flip when they get to the watch party and see these puppies, pups, dragonlings, dragonetts–whatever the hell you call baby dragons. But what it comes down to is how easy these were to actually make. Because nobody wants to spend days putting together some complicated thing just for your friends to demolish them in a couple of bites. 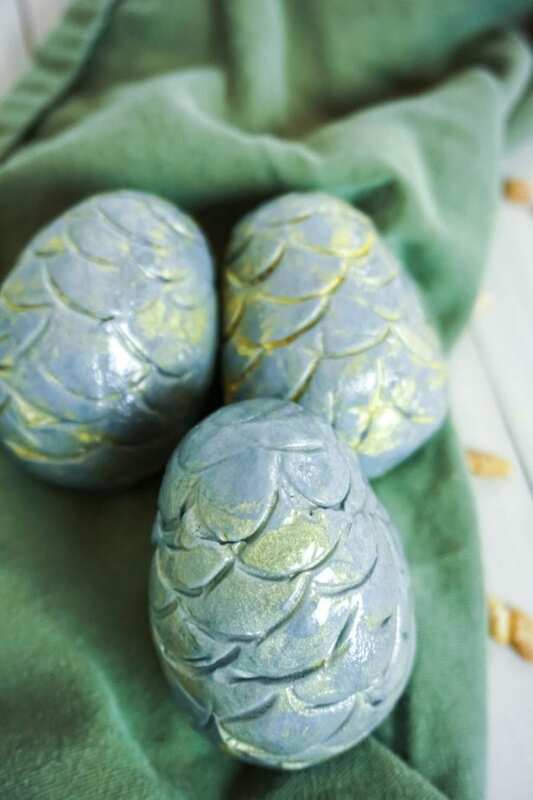 These Game of Thrones Khaleesi Dragon Egg Cake Balls, though–so easy, the hard part was making the simple cupcakes to get it started. 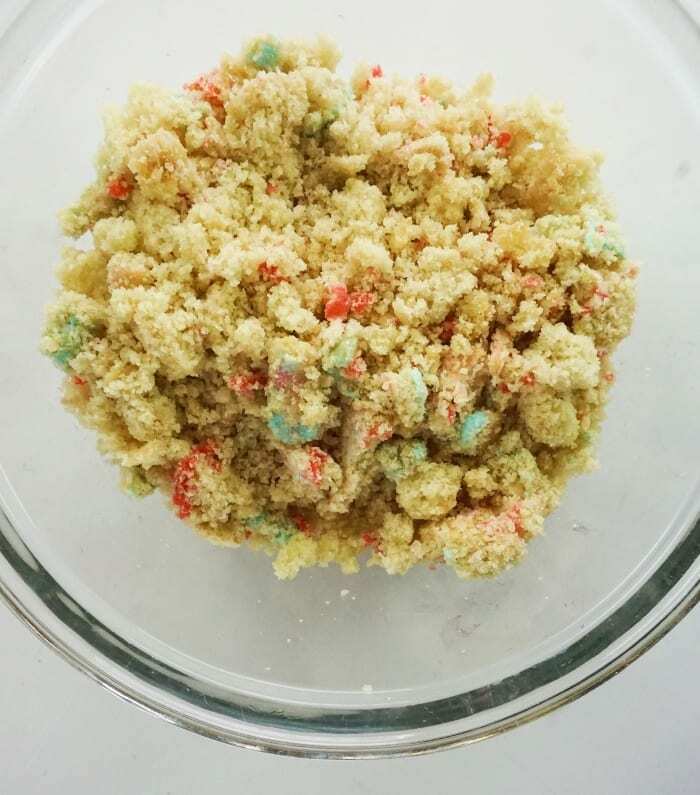 One the cupcakes were done (which, I actually froze some cupcakes from an earlier batch that didn’t get eaten, so that’s why you see a bit of colored frosting in the bowl), I just crumbled them up. The cupcake here doesn’t really matter, but it does need to be delicious. 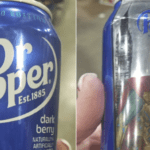 So start with chocolate or vanilla or strawberry–just something delicious. Then it’s time to add the glue. Frosting glue, to be more precise. 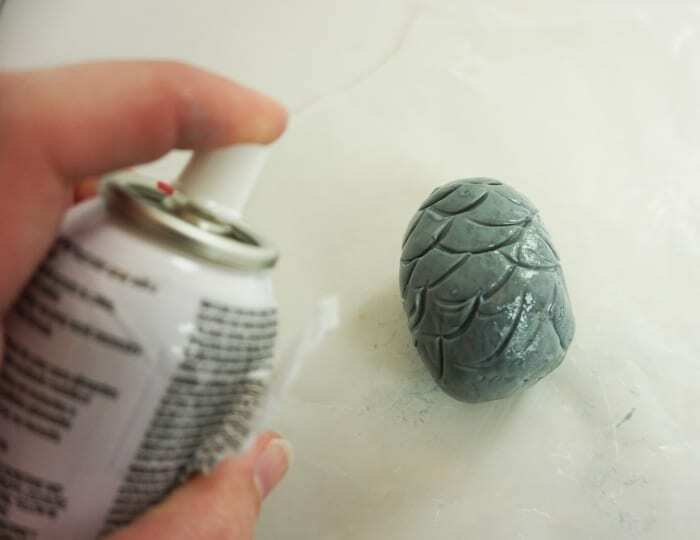 I used a whole can, because I wanted these dragon egg cake balls to stick together really well and not fall apart while we were trying to eat them. And, that might seem like a lot of frosting, but it’s not. 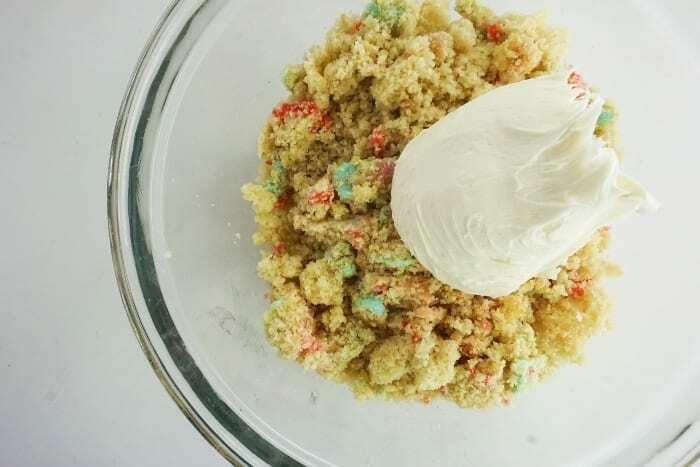 Once you stir it in, you’ll see that it makes the cupcake crumbles really stick together nicely, which is the whole point. 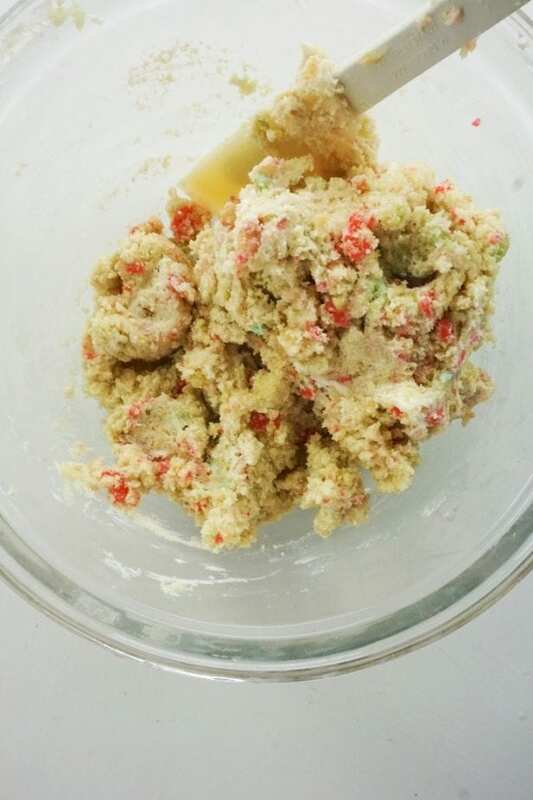 Then, it’s time to form the cupcake mixture into egg shapes. 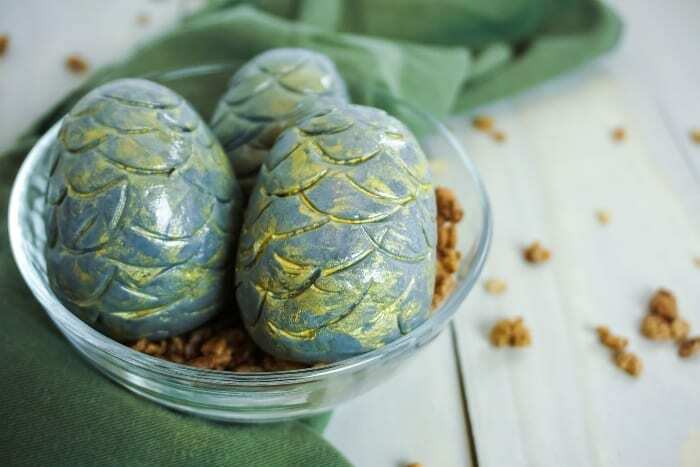 I went with 12 eggs, because I wanted each person to have their own Game of Throne Khaleesi Dragon Egg Cake Balls. But you could form one big giant egg, to make a Dragon Egg Cake, I suppose. I went ahead at that point and put them into the freezer, just so they would maintain their shape while I messed with them in the next few steps. 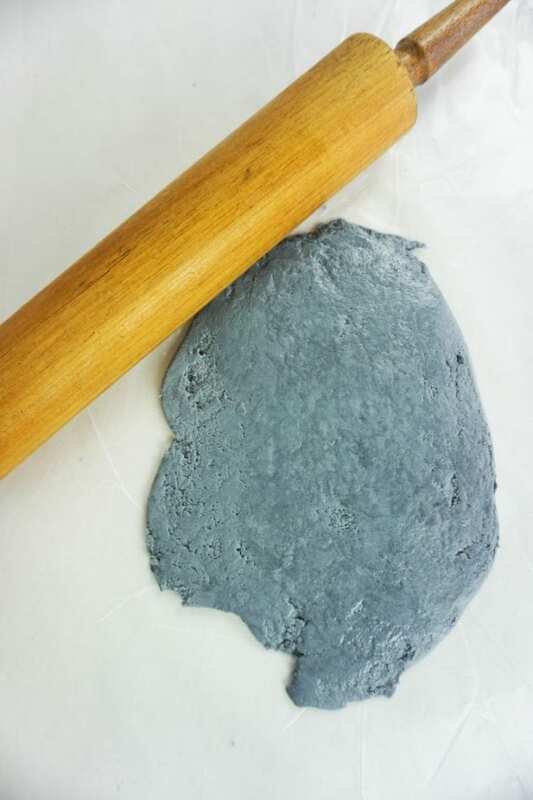 And the next few steps were to make some easy marshmallow fondant and color it grey. 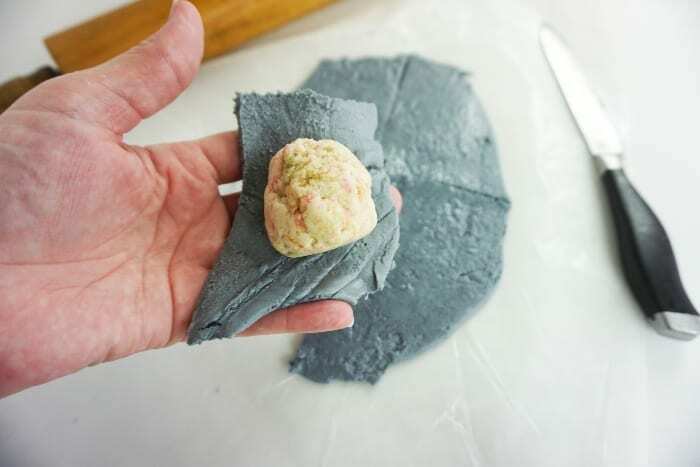 Working with only 1/3 of the fondant at a time made it easier to handle while I was rolling it out. 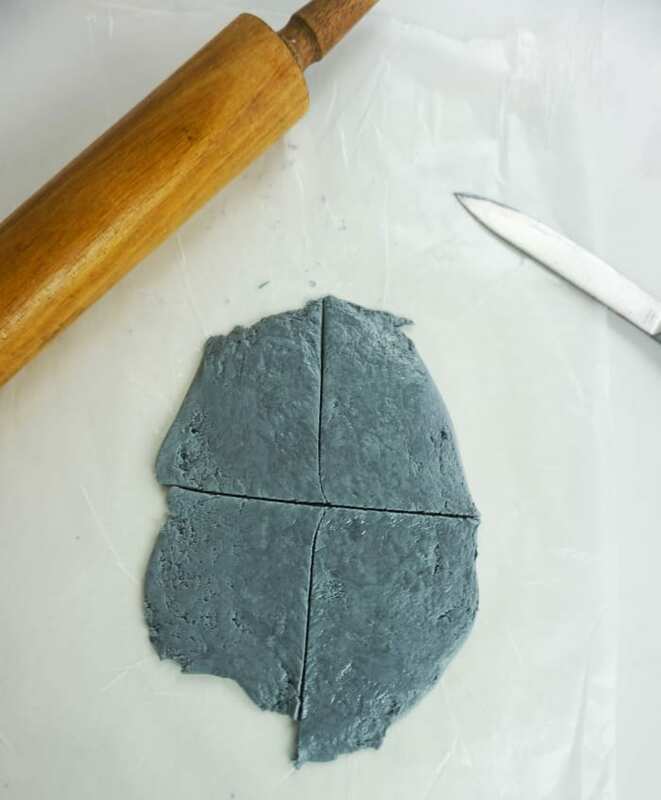 Then it was simple enough to just cut that into quarters big enough to do the next step. 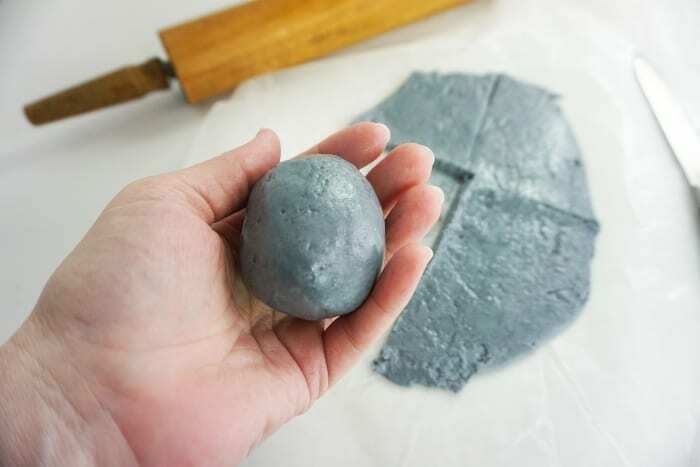 Now, the trick to getting the eggs wrapped nicely with the marshmallow fondant is to start with the egg as in the center of the fondant as possible–then to wrap all of the corners around. 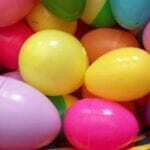 Once it was mostly wrapped, I just rolled the eggs in my hand a few times. 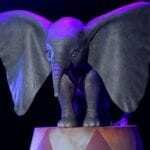 This helped make the surface less wrinkly and smoother. 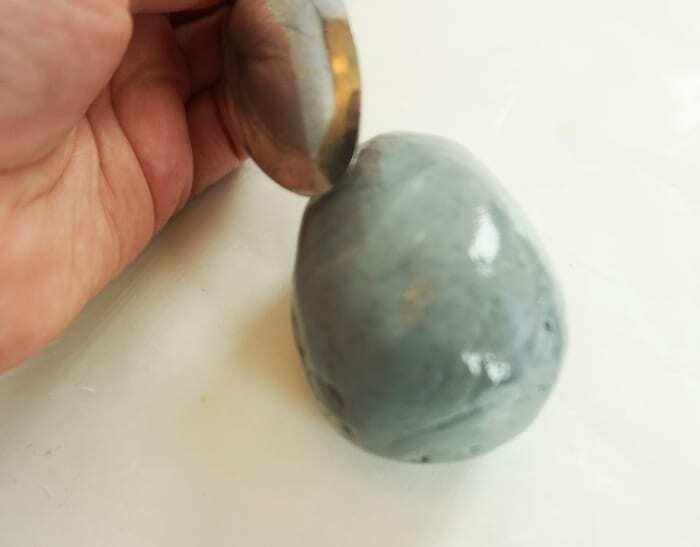 As I finished each egg, I put them back into the freezer, just so they’d hold that shape while I was working. Extra cautious, me. 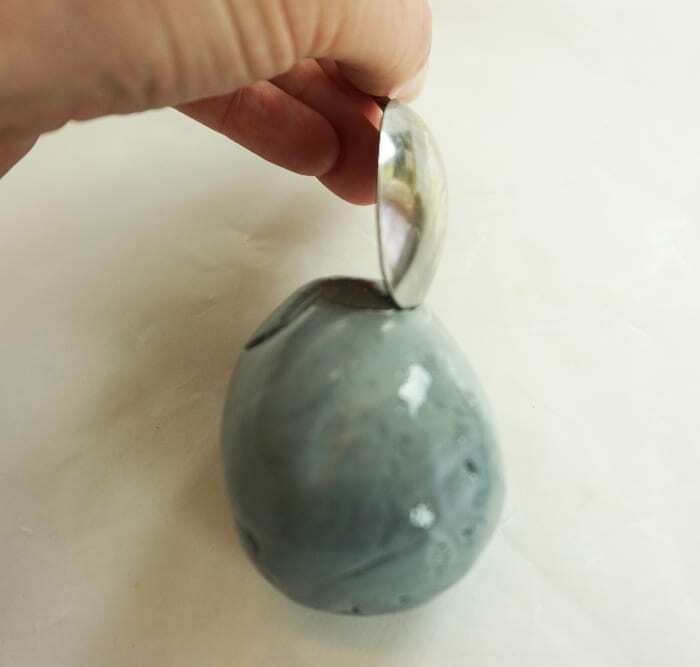 Then I took each egg out of the freezer and, starting at the top, I kind of mashed the edge of a spoon into the top. I did this in a kind of flower pattern around the very tip. And then I dropped down, trying to expand that pattern by putting the end of one curve in the center of the one in the row above. 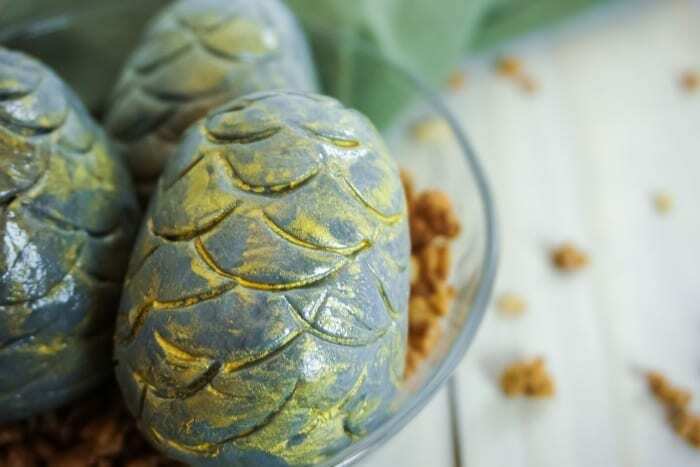 Then, once the spoon mashing was done to give the Game of Thrones Khaleesi Dragon Egg Cake Balls some scales, I wanted to up my game juuuust a little more. So I decided some gold cake decorating spray was in order. 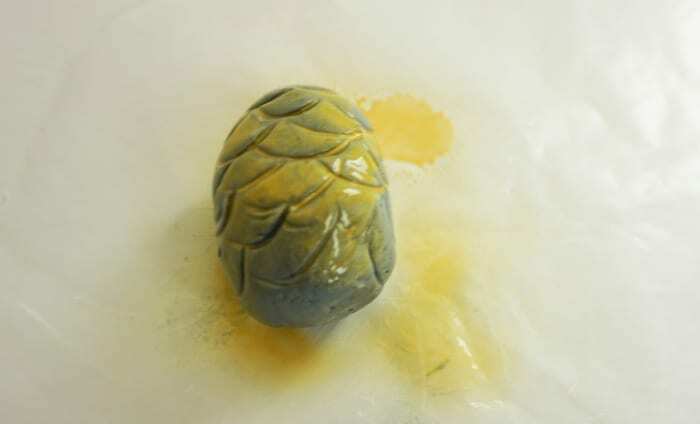 Now, there’s a lot of over spray happening, so I just kind of rolled the eggs in the gold spray. This served to kind of smear it around, but it also took care of any rough spots left from the spoon-mashing step. Then I popped them back into the freezer. I didn’t want them to dry out or loose their shape, so this seemed like the safest place to keep them. Also, I didn’t want tiny-people hands to grab them and eat them before I could even get them to the party. LOL! 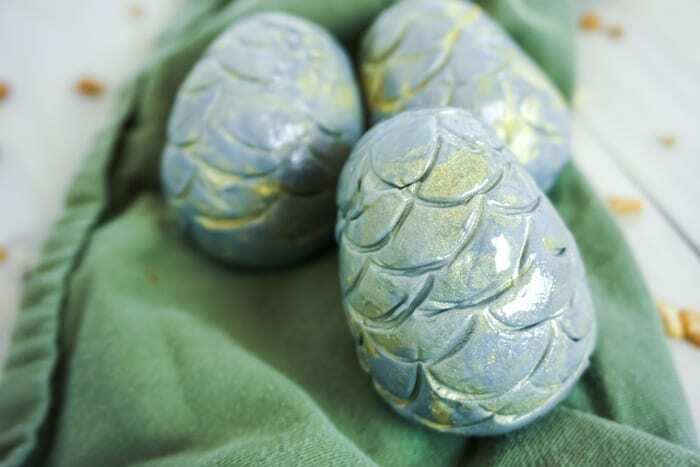 But that’s really the crux of these easy Game of Thrones Khaleesi Dragon Egg Cake Balls. They’re simple enough that I could just make more if the kids did decide to eat them all. 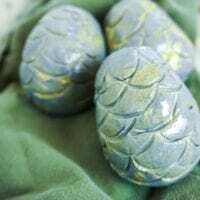 Now, if you’re not ready to make your Game of Thrones Khaleesi Dragon Egg Cake Balls quite yet, be sure to pin this to your favorite Game of Thrones board on Pinterest so that you can find it again when you’re ready. And, if you love this recipe, be sure to drop a 5-star rating on it so that we know you’d like to see more awesome recipes like this! 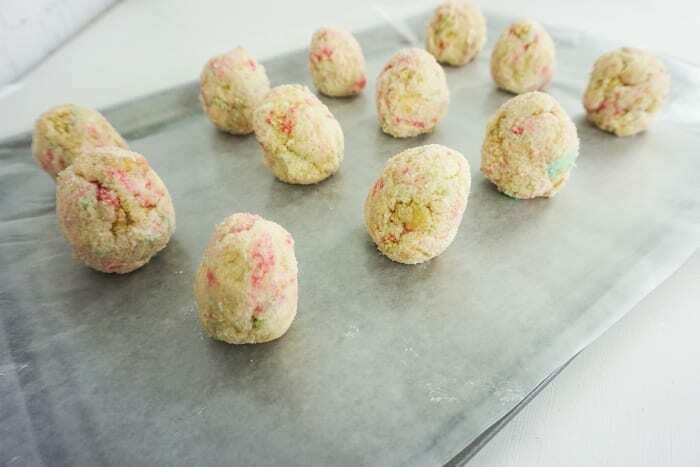 These Dragon Egg Cake Balls are so freaking easy and absolutely fantastic--I can't wait to make them again (because I ate them all already).